Business, as in life, revolves around the relationships we cultivate. This is the thrust behind the power of a Mastermind group. This group of colleagues, friends, and confidantes force us to stretch beyond our comfort zone, force us to work harder, think larger, support us when we feel like quitting, hold us accountable in a way that inspires us to achieve our goals. For many, personal development is achieved through group interaction. By joining and participating in a Mastermind Group environment, members are able to openly and confidentially discuss issues they face within their work environment and explore alternatives to enhancing performance and achieving goals. The Mastermind Group is designed for creating accountability between and among group members thereby transferring group exploration into practical and implementable action steps. Peer group participation in many cases leads to individual coaching allowing for further reinforcement of successful management and leadership. success personally, as a team member and as an organizational leader. a desire for achievement with no competitors. agenda, open communication, group collaboration built on trust and honesty as well as having fun. or tactic to help someone else. 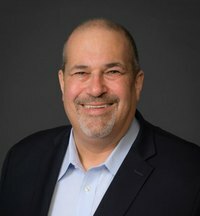 Robert Grossman is an entrepreneur and creative solutions generator that comes from his unique background as an educator, sales professional, marketer, executive coach, trainer, and executive producer. He has worked across a broad array of companies providing hands-on, value-added solutions and is Founder & Managing Partner of Black Diamond Leadership. In 2005, with the guidance of his executive coach, Robert began his journey to become a Master Executive Coach and Mastermind Facilitator by formalizing his training. He became a strategic partner with 360 Solutions and completed more than four years training as an Executive Coach, Peer Group Facilitator, High-Performance Leadership Consultant, and Speaker. In 2006 Vistage International, the leading CEO membership organization recruited Robert to be a Group Chair and Executive Coach for highly successful CEOs. Robert joined a class of over 30 Chair candidates and by the end of the program, Robert was one of eight participants who graduated. Out of the eight, Robert was the first Chair to build his group and launch.